We've been reading a lot of books lately that point to one inescapable reality: we must manage our careers as if we were a business of one. The message has been made loud and clear in books such as Seth Godin’s The Icarus Deception; James Altucher’s book Choose Yourself; Steven Pressfield’s books The War of Art and Turning Pro; and Mitch Joel’s book Ctrl Alt Delete. The days of the lifelong job and the golden watch when you retire are gone. If there is a cheaper, more automated way to do your job (either by outsourcing or by a robot), you might as well kiss your job goodbye. It’s a liability to stay at one job for too long because the essential skill for the 21st century is how to learn new skills, and staying at one job does not expose you to how to learn new skills. Get one job, become overwhelmingly successful at achieving the goals of the job, and then move on to the next project/job. Given the new reality, the résumé, (the bane of my existence) has become hopelessly outdated. Granted, most companies still ask you for a résumé, but a résumé is not going to get you a job, or even get you noticed. When you’re trying to manage your career as if you are “Me, Inc.,” you need a well thought out web presence. So we take this opportunity to show you a very important tool for your career, our new templates, especially our new category Bio & Portfolio. Know more about them here. We live in a “digital first” age. Consumers today default to Googling and referring to their friends on social media when they want to research something. Recruiters and decision-makers (whether you’re a potential employee or a consultant looking for her next assignment) are consumers too, believe it or not. They will Google you and look up your social media profiles in an attempt to find out as much as they can about you. They will also try to find somebody like you by searching for the keywords that represent the unique combination of skills for the person they’re looking for. This was the case for a friend who wanted to launch a series of online videos for his restaurant. He Googled “social media videographer” for the city he lived in. There was one name that rose to the top consistently. This person had done a fantastic job of branding himself, and of dominating the keywords for the type of work he did in the city he was living in. This can be a website, a landing page (more details on this below), or a microsite. This is where you talk about yourself, your skills, what you've accomplished for others, and samples of your work. 3. Be available on social media. The logical social media platform for candidates seeking jobs is LinkedIn. Use LinkedIn’s features to maximum benefit (check out work by Viveka Von Rosen on how to use LinkedIn). But don’t limit yourself to LinkedIn. Twitter can actually be a great place for you, if you Tweet the right stuff. Tweet relevant links, interesting thoughts and replies that represent how brilliant and talented you are. Make sure your Facebook profile is clean and doesn't have any embarrassing drunk photos from your last trip to Vegas. Give a few thoughtful answers on Quora. Have a complete Google Plus profile. Starting a blog is the best way for prospective clients or employers to get to know you. Write about the areas you’re passionate about. Write useful “how-to” articles that display your knowledge. Write articles that predict the future, to show how in-tune you are with your industry. Write an impassioned “why you should do this” article that shows your thought process and how persuasive you can be. If you have all four of these, you are already way ahead of your competition. But I want to get into the details of your home base, as this is the most important aspect of your web presence. 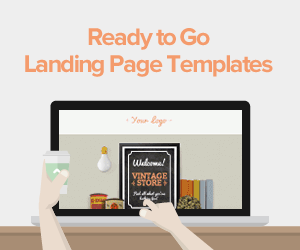 The easiest way to establish a home base is to create a personal landing page. 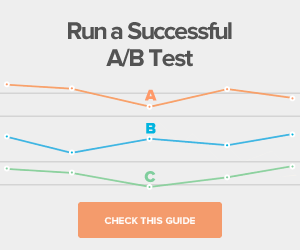 Why do we recommend a landing page instead of a full blown website? If you want to create your own website, by all means go ahead. But we’d like to argue for a landing pages because you should provide a snapshot of who you are. You want to let a potential employer or client know what you do by providing bit-sized pieces of content so they can get an overall picture of you and what you can do for them. If they’re interested in learning more, they can always click on the links you provide to any number of other web properties you own, such a blog, your LinkedIn profile, or your YouTube channel. 1. Use a great image of yourself. We've established bad habits because of social media. Our Facebook and Twitter profiles are full of weird, quirky pictures of us that may appeal to our close friends (“oh you’re so funny/clever/hip”). But when you’re trying to land that gig as a Big Data analyst at the Fortune 500 company, a picture of you duck-facing at the last meetup just won’t do. 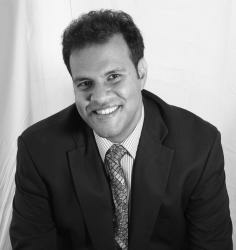 Have a professional headshot created, or a full portrait. It doesn't have to be a formal portrait, just something that looks professional. 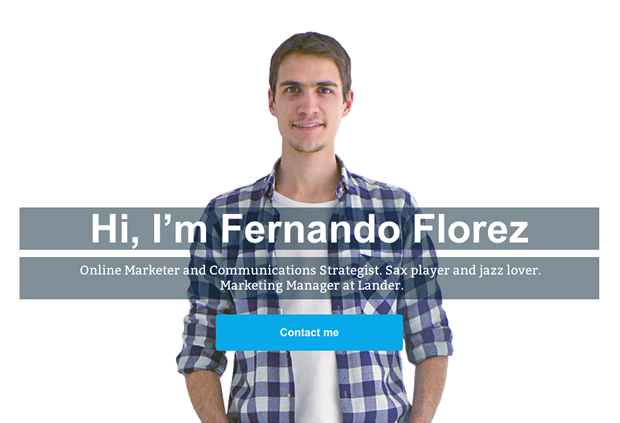 Check out for example the Landing Page of our Marketing Manager at Lander, Fernando Florez. Take a look to his amazing photo! This is especially relevant to creative types, such as writers, graphic artists, developers and photographers (developers might have some intellectual property or copyright issues, but if you have an app you created, by all means feature it). If you’re a graphic artist or photographer this is pretty easy: have samples of your work on your landing pages, with a link to check out more. If you’re a writer, maybe artwork of your latest book, or a title for some of your white papers or blog posts, with links to those. Have a look to this Landing Page of our Brazil Country Manager, Renato Rodrigues, where he shows in a timeline the companies where he has worked for. Don’t re-hash your résumé – instead, talk about what you've actually accomplished for companies. 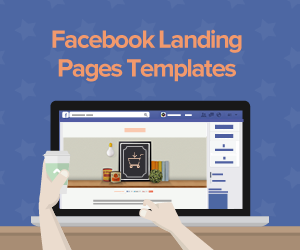 Treat your personal landing pages as your personal marketing platform. What does a person marketing do? He puts himself in the best light possible. List three or even four projects using this formula: problem-solution-result. If you have numbers for the results portion, use them. 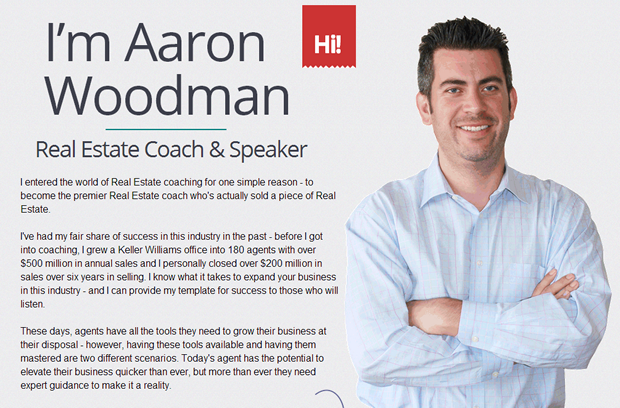 For example, take a look to this Landing Page from one of our awesome users, Aaron Woodman, he shows in his Landing Pages the numbers he has achieved, percentage sales increase and number of dollars saved. 4. Tell them what you believe. We know, we know, beliefs are very personal. But everybody else is so bland and boring, and their web presence looks the same as everybody else’s. If you can talk about your philosophy, your beliefs, your work ethic, what drives you, you can make yourself stand out. More importantly, you’ll attract the right type of employer or client. 5. How can we contact you. Finally, if you want to attract inbound leads (job inquiries, potential consulting clients), you must have a call to action. Have a contact form on your landing pages. Prominently display your social media presence: Twitter, LinkedIn, Google Plus. Provide an email address (you can use this format to avoid robots skimming emails for spam use: firstname (a) domainname (dot) com). If you’re bold enough, put your cell phone number at the top of the page, and make it obvious. If companies do it on their websites, why not do it on your landing pages? After all, we’re talking about “Me, Inc.,” aren’t we? We live in brave new world. It’s scary, but at the same time it’s extremely liberating. In a world where we’re surrounded by mediocrity, there is so much you can do to make yourself stand out. Are you willing to treat yourself as your own corporation? Are you ready to go out there and establish your web presence? 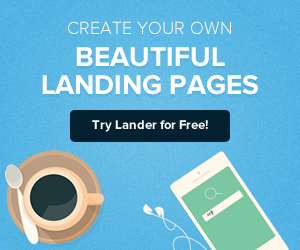 Will you make the time to create your own personal landing pages? But because we know that you may don’t have that time, our new templates are ready to use, just include your picture, your amazing achievements and your contact information. So you have already saw some example about what can you do with our new personal branding landing page templates now it's your time to use them. Check them out and choose you favorite one!